Scott Pruitt, who has resigned from the U.S. environmental watchdog, had the president’s support for months despite a rash of ethics scandals. His departure shows there are limits, but others facing questions, like commerce tsar Wilbur Ross, needn’t worry yet: the bar is high. 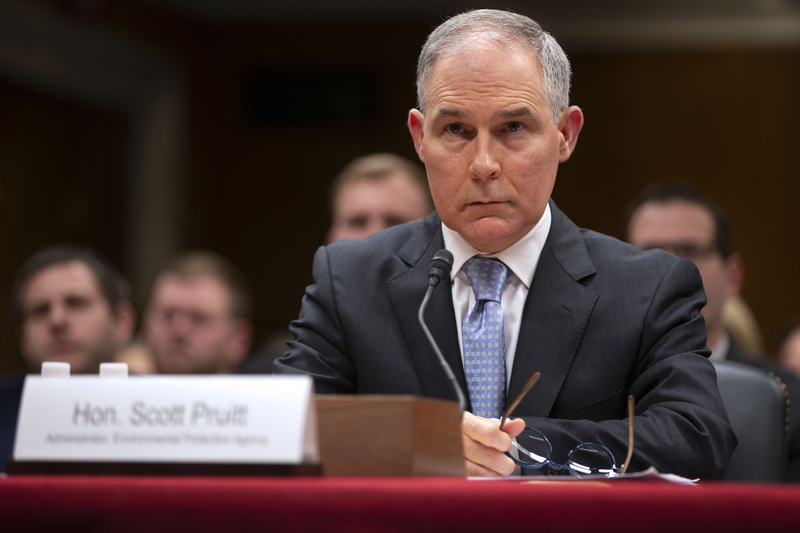 EPA Administrator Scott Pruitt testifies before a Senate Appropriations Interior, Environment, and Related Agencies Subcommittee hearing on the proposed budget estimates and justification for FY2019 for the Environmental Protection Agency on Capitol Hill in Washington, U.S., May 16, 2018. U.S. President Donald Trump tweeted on July 5 that he accepted the resignation of Scott Pruitt, administrator of the Environmental Protection Agency. Deputy EPA Administrator Andrew Wheeler will become the acting head of the agency. “Within the Agency Scott has done an outstanding job, and I will always be thankful to him for this,” Trump said. Pruitt faced multiple ethics investigations for issues including the rental of a room from the wife of an energy lobbyist for $50 a night, and the use of EPA resources to find a job for his own wife.